At this time of year temperatures can drop suddenly in the garden, leaving tender plants decidedly worse for wear. It’s so tempting to leave them outside when the weather is still mild, but I’ve lost plants this way before and learned my lesson. 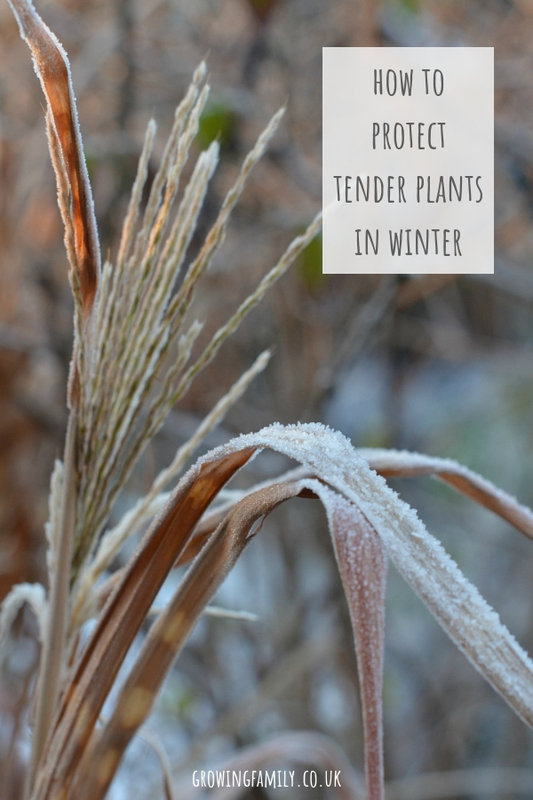 Spend a few minutes this week protecting your tender plants and you’ll be in a great position to enjoy them again later this year. So what do you need to protect? Well that depends on a couple of important things. If your outdoor space is quite sheltered you may find that some tender plants survive perfectly well, but this wouldn’t be the case in a more exposed area. 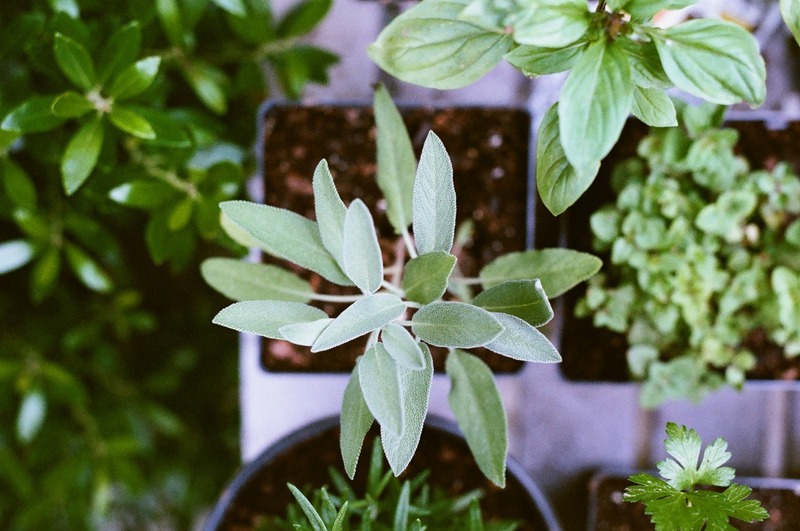 You will also need to vary the action you take depending on the type of plants you’re growing. The care label that came with the plant or a quick online search will tell you whether you need to step in with a helping hand. 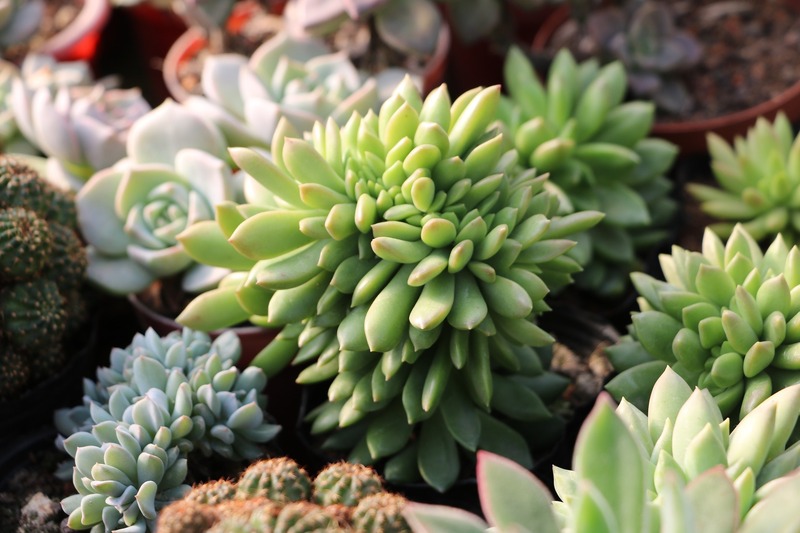 Completely tender plants such as cacti and some succulents must be moved indoors, ideally to a windowsill. Sedums will be perfectly happy outdoors over winter though. 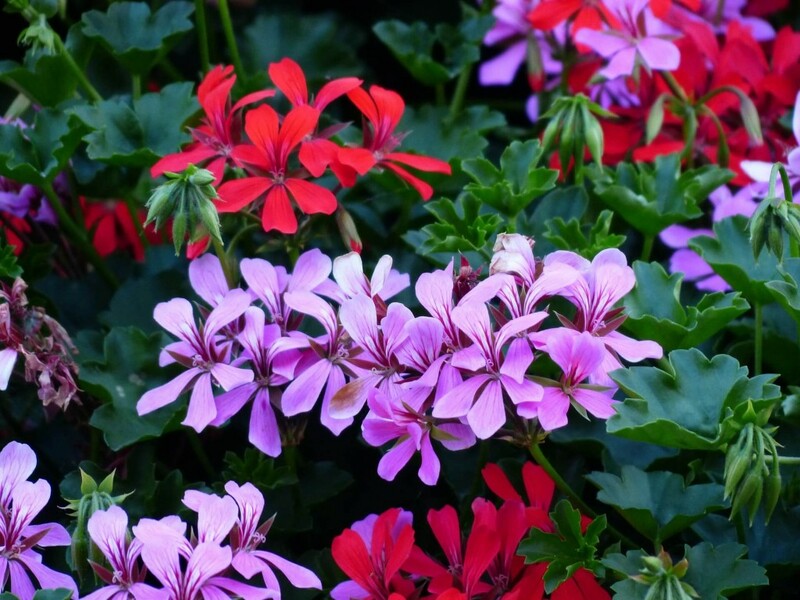 Half-hardy or frost-tender plants (such as pelargoniums and fuschia) are a little trickier to find a home for. Ideally you want somewhere cool and frost-free. A porch or unheated conservatory is perfect, but if you have a greenhouse or cold frame that remains frost-free that’s a good option too. Larger architectural plants such as palms and tree ferns need to be well-protected, usually by insulating with straw-stuffed chicken wire or wrapping with horticultural fleece. This also works well on exotic fruits such as olives and apricots. Frost is bad news for plants in terracotta pots too; as well as causing the pot to crack it can penetrate the pot and damage roots. 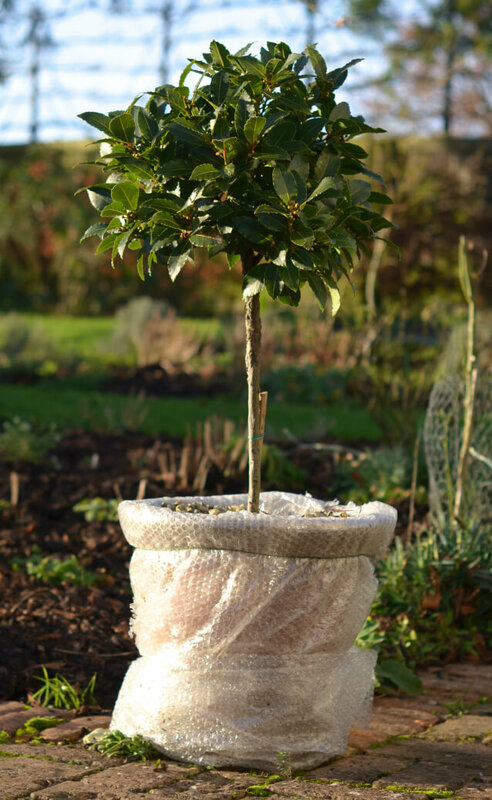 A quick and easy solution is to wrap the pot in bubble wrap and secure with twine. If possible, also raise the pot off the ground on ‘pot feet’ to avoid it sitting in an icy puddle all winter. Don’t forget to look after your hardy plants too; a layer of mulch or bark compost around herbaceaous perennials will keep them warm and feed them during winter, it’s also a good idea to use grit around the actual plants to avoid them sitting in too much water and rotting. This is a good job for the children to join in with, we always call it “putting the winter blanket on the garden”. One final tip which has worked well for us – take cuttings from your plants as you are protecting them (get the kids involved with potting up and labelling), and you’ll give yourself a backup plan for next year should you lose any of them. What are your tips for winter plant protection? Great tips! I was out of town when it started snowing and lost quite a lot of my plants because I forgot to “winterproof” my garden before I left. Thankfully, I took some cuttings before I left that week. I am hoping I’ll successfully retore my garden back to how it was even if I’ll be a few plants short. Oh that’s such a shame – but how brilliant that you have some cuttings to fall back on! Hope they all thrive for you. Many thanks for the important tips. Pinnin it for future use. Mostly liked the final tip about taking cuttings from important plants. Great tips! I remember when we were back east and there were some times I was too late in bringing the plants in. Hated them. Thankfully, we don’t have snow anymore and the weather stays level throughout the year where we live now.